Our little Home Office makeover from last year's One Room Challenge Linking Event, continues to get lots of love around the web. 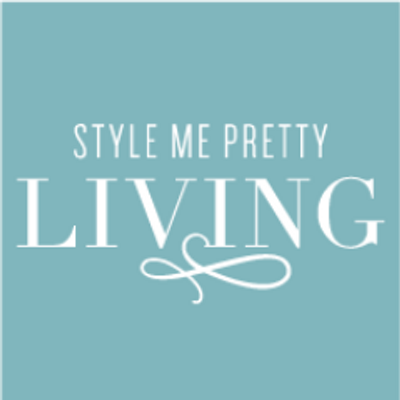 It was featured last week on Style Me Pretty and on Scratch Paper Studio. So happy to see folks embrace our love of color. The ORC Challenge was definitely the boost I needed to get that office done in time to crank out the busy design projects we have on our roster. It's also Xavier's favorite space to chill. He curls up on that loveseat all the time to read, watch his tablet or play, and also practices his typing skills on our vintage typewriter. Speaking of the ORC, the online design fest returned last week with another awesome line up of talented designers and bloggers. Be sure to check out all the goodness as it unfolds over the next few weeks. 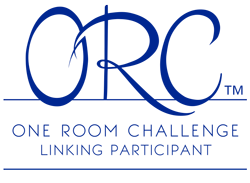 And holy smokes, I cannot believe the Linking Soiree has over 150 participants. That is kinda bananas. Hats off to our friend and ORC creator Linda for creating this awesome online event. In other news, this study made me say, hooray. Us working moms are not so horrible after all. I even made it home early enough this evening to take the little man to the park. Had a blast watching him make new friends. So what have y'all been up to? Soo many participants I decided to sit this one out! I will instead enjoy what my favorite bloggers design over the next few weeks! This such a pretty office! You have done color very well!